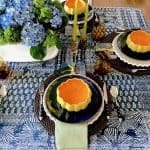 Bonjour, friends…I’m so thrilled to serve up fall inspiration ideas as a guest of Classic Casual Home today! 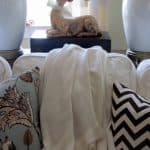 Like you, I’m a great admirer of Mary Ann and Classic Casual Home and always go away with my cup overflowing with inspiring design, reverence for home, and lovely finds shared. 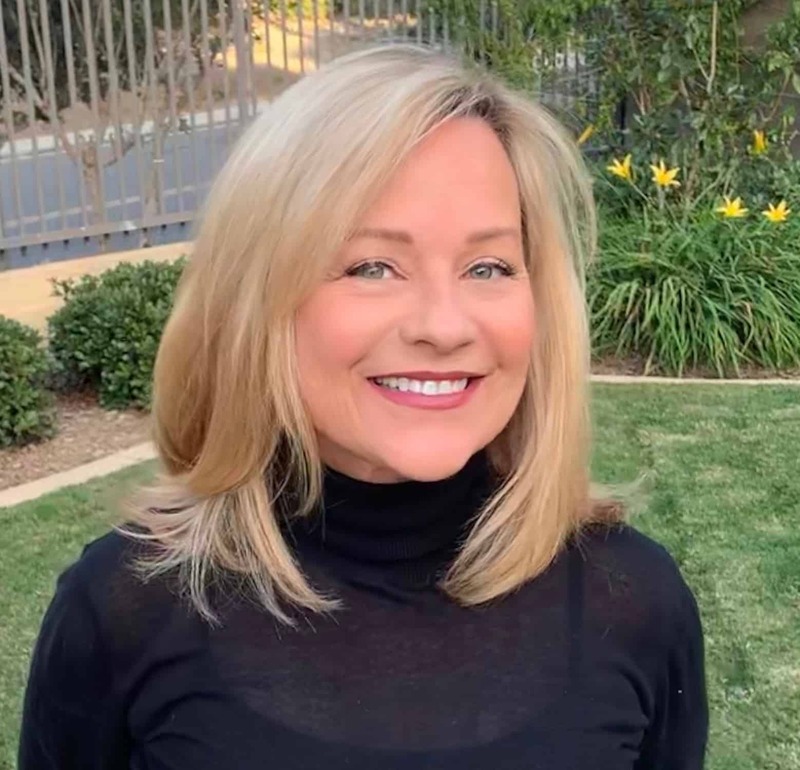 I’m Michele, a writer/artist/decorator from the Midwest with a decor blog called Hello Lovely. 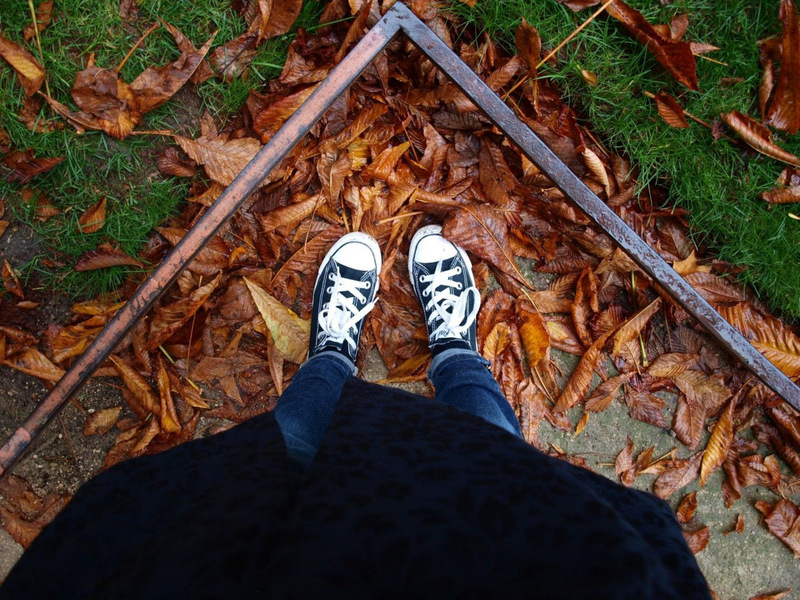 I’m a big fan of casual elegance as you may have surmised by my black Converse sneakers in the wet, red fallen leaves! 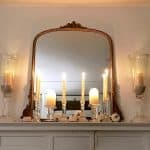 Since I have a passion for beautiful interiors and European-inspired everything, I thought we could stroll down memory lane to a couple of Octobers ago. 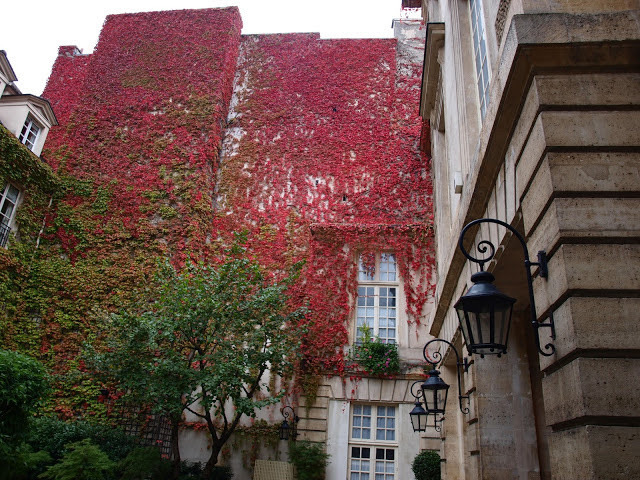 We visited Paris in the fall and savored as much of the season, mystique and enchantment as possible! It was easy as pie to take away beaucoup inspiration for fall! Ready for some fancy pics and simple tips from a down-home girl? Awesome. 1. Steal A Posh Autumnal Palette. 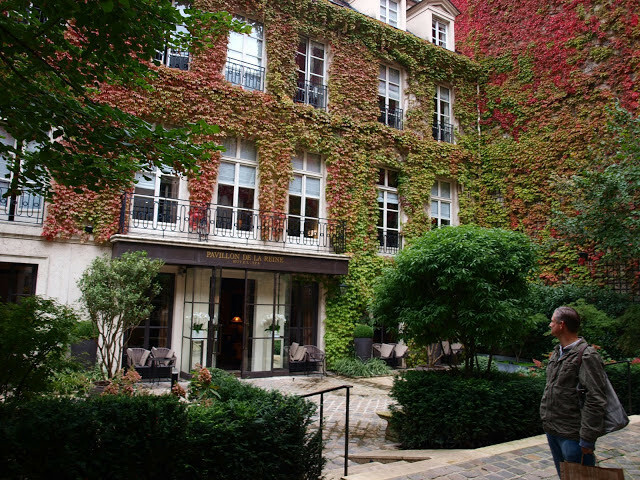 We loved our stay at the pretty, posh, and palatial Park Hyatt Paris Vendome. 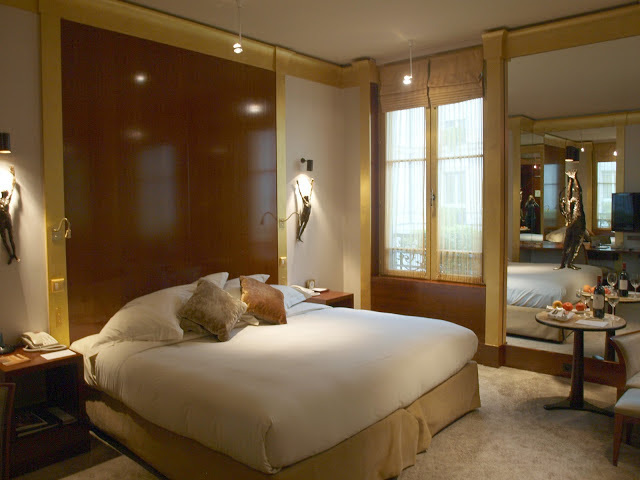 Our suite contained the most inspiring mix of warm, autumnal hues and finishes, including a mahogany headboard, bronze sculptures, sconces and hardware by Rosaline Granet, gold silk window dressing, cognac and mink toned velvet cushions, and beautiful gilded moldings and mirrors. To bring a similar fall palette to your home decor: reach for warm metallics, toss a pumpkin-toned velvet pillow on your favorite chair, and paint a tired vintage dresser or side table a sophisticated shade of cognac. 2. Say Hello to a Simple Apple Trio. What is the season of fall–anywhere–without delicious, orchard-fresh apples? It’s a simple, healthy, and inspiring idea for the guest room when entertaining: three delicious apples upon a simple white porcelain tray! It doesn’t get much easier than that, oui?!? 3. Bake Something Sweetly Comforting. 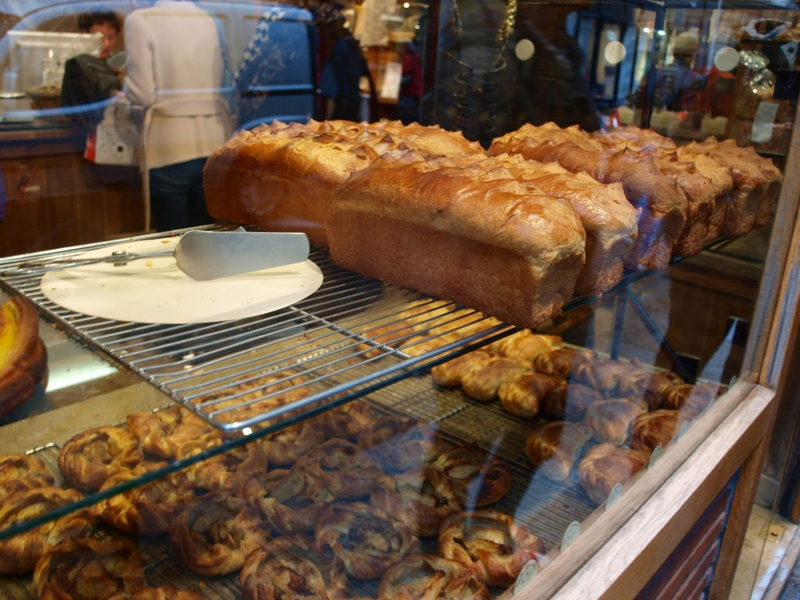 We consumed more baguettes and pastry than I care to recall, and if you find yourself far from Eric Kayser (my favorite Paris bakery below), bake something sweet and comforting. 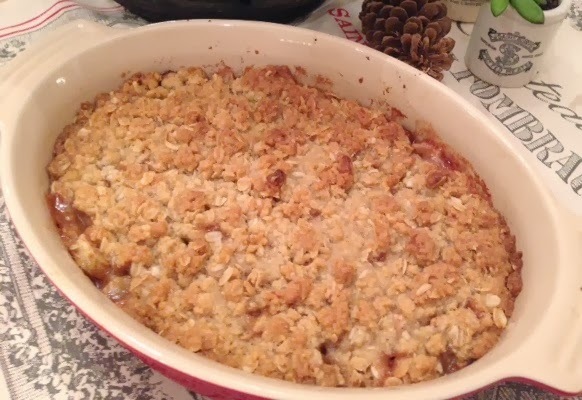 This boozy pear apple crisp recipe is straight out of my Chicagoland kitchen and not Paris, but don’t you just love the aroma of a baked apple crisp bubbling away in the oven on a cool, autumn afternoon? The recipe is impossible to mess up and simply delicious with or without liquor (and with regular flour or gluten-free flour). 4. Savor Nature’s Evolving Colors. The opera is wonderful, French pastry divine, but what we enjoyed most in Paris was wandering the blissful streets, and allowing ourselves to be surprised around every corner by masterful design, architecture, history, and nature showing off its October glory. Pavillon de la Reine’s exterior was fiery beautiful! Swept up in fall rapture, it was breathing with voluptuous reds and greens (can you see the delight as my beloved beholds the spectacle below?). 5. Be a Local Daytripper. 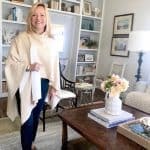 For many of us who spend a great deal of time online, we need reminders to step away from Pinterest and our favorite inspiration blogs and see soulful beauty breathing right under our noses locally. That beauty may hail from a garden, a park, or on the walls of a city art museum. Just for a day, be a tourist in your own town or city! Can you believe the shocking red on these walls? 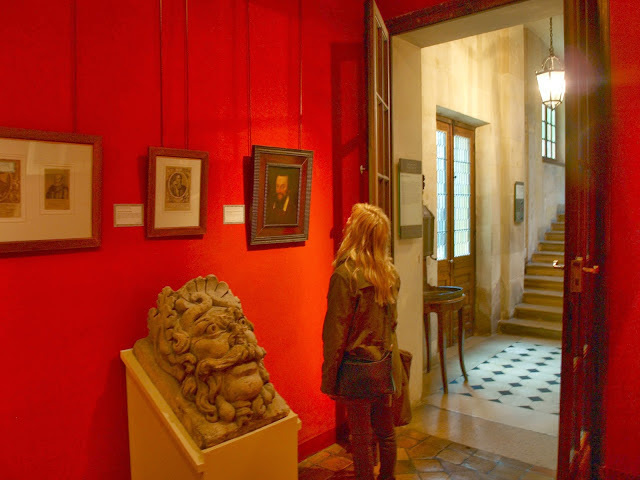 It’s in Musee de Carnavalet, which houses an incredible selection of historic Paris treasures, and which we had to ourselves (!) on a rainy October day. It is now closed for renovations, but I cannot wait to get back within its walls when it re-opens! Thank you so much for the opportunity to meet and share lovely with you, Mary Ann and Classic Casual Home fans…this excuse to re-visit an October in Paris has lifted my spirits! …and peace to you, right where you are. 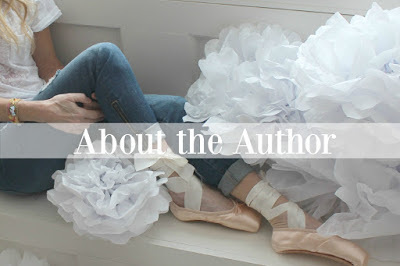 Please head over to Hello Lovely as I am Michele’s guest there…showing more Fall Inspiration! Lovely ! Absolutely lovly ! Beautiful photos! The leaves haven’t yet changed colors in the south but they will soon. 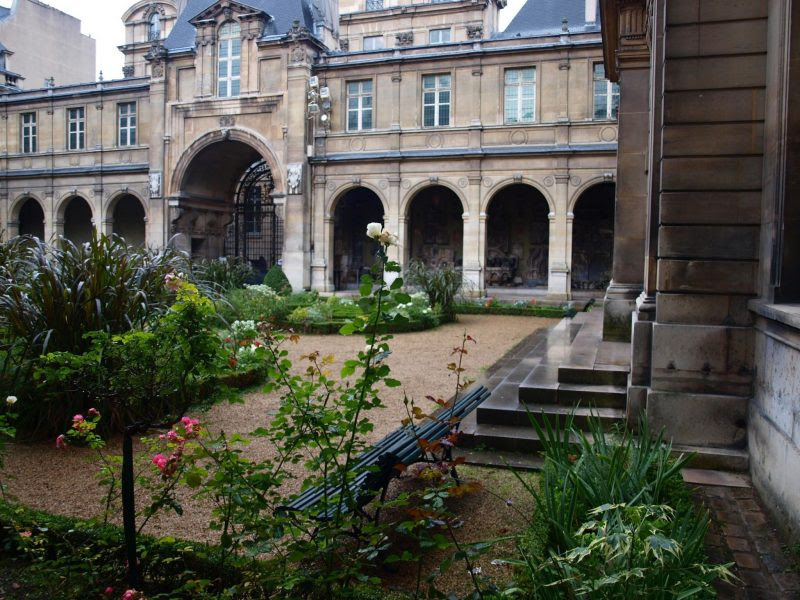 The Musée de Carnavalet is one of the best hidden gems, and conveniently in the Marais to boot. Great photos and I love those red walls! I thought autumn had arrived here in SW France, we have had distinctly cool temperatures and lots fo rain, but today the sun shone once more and we could feel the warmth in the sun and now we are set for at least ten days of perect warm temperatures. other than the weather there is no sign of autumn, so I am hopeful we have another couple of weeks at least of beautiful weather. I haven’t been to that museum for many years! Need to go back. Sounds heavenly where you live. 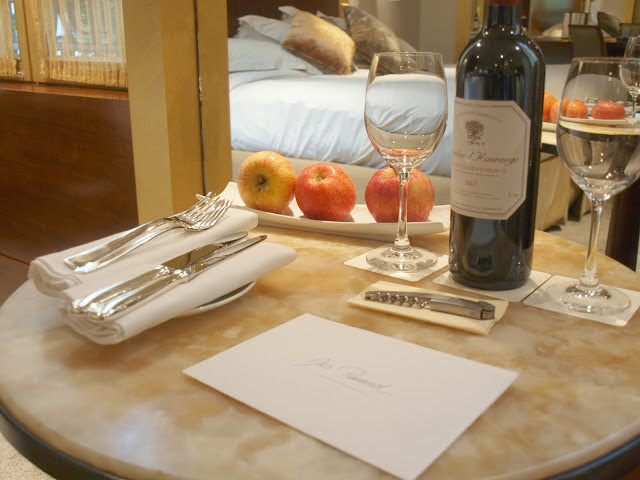 Oh my goodness…I am totally ready for a trip to Paris…if only I could get away.Enjoyed the temptation! I remember how beautiful the fall is in the midwest. That is the one season I dearly miss from growing up in the midwest! That Place vendome area is swanky! Paris is always lovely. 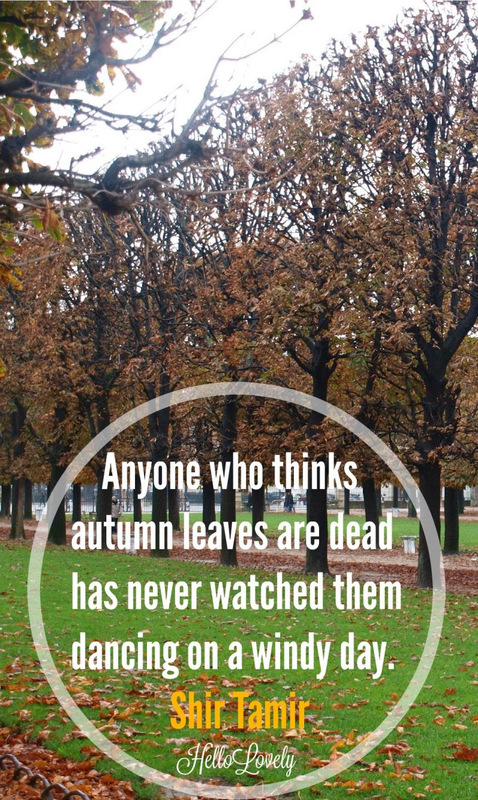 I think Autumn has arrived here in Idaho and your blog reminded me again how much I love this time of year. I’m actually changing out my summer decor now and renewing my love for the warm palettes of Autumn. Thank you for this lovely post! 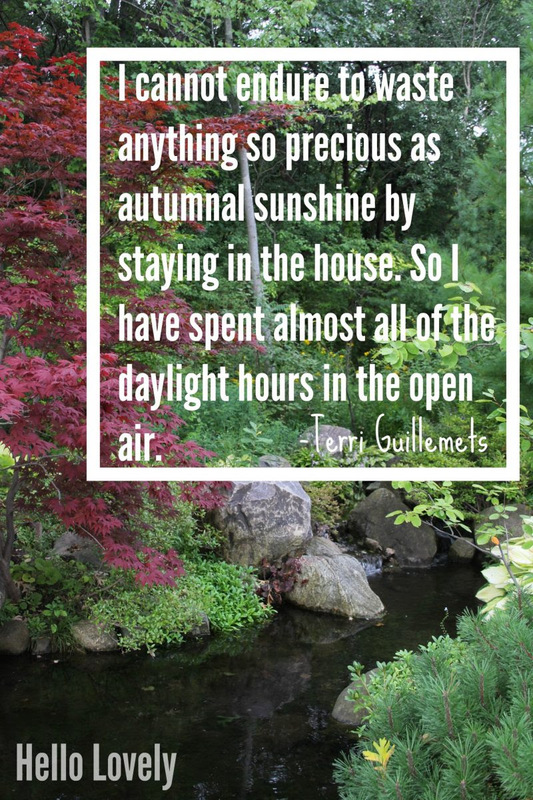 Autumn must be gorgeous where you are! What a beautiful tour, I really enjoyed all the lush colors of Paris and of course the beautiful narrative by Michele. I’ve been a fan of Michele’s for years and how fun to see her visiting another one of my favorite bloggers….. I know, Leslie, isn’t Michele wonderful?